Recently I saw this amazing location on a blog about photography at mam tor. The first thing I thought when saw mam tor is, I need to go there. I immediately started to plan a trip, as always I checked the weather on my favourite weather apps on my phone to make sure I had the best opportunity of getting a sunset. The apps I currently use are 1 weather, met office and a new one I’ve just started using called Yr weather. Here are the links to these apps for android if you want to try them out. I usually like to check all three apps and cross-reference them just to make sure, as sometimes they do get it wrong. 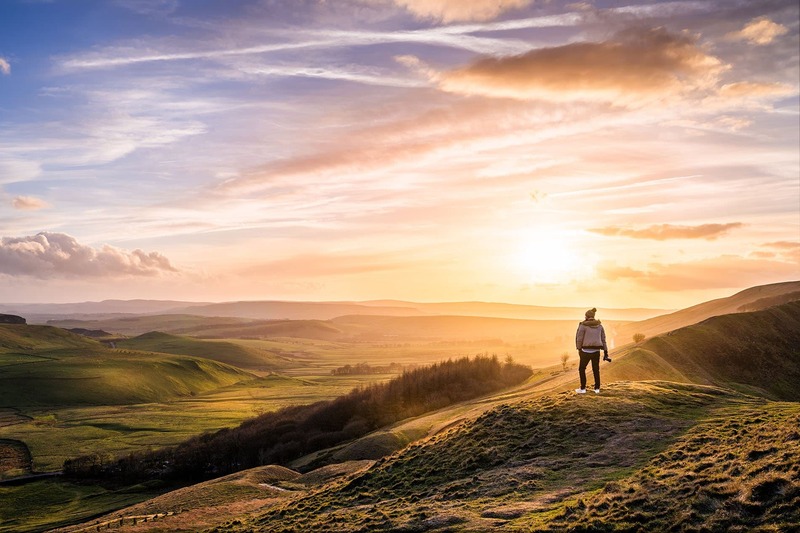 Two of the weather apps said the weather at mam tor was going to be perfect for photography so I was pretty sure it would be a good sunset. Making the call to go I set off, the views on the way there are amazing and it’s one of my favourite drives to a location. It’s actually only 1 hour 15 minutes from my house, I know I’m very lucky to have the Peak District on my doorstep. You have to drive through a small town called Castleton on the way. I could see the weather was clearing up perfectly and I was feeling very positive about getting a beautiful sunset. I’ve been to Castleton loads of times and didn’t even realise that this view was so close to where I’ve been taking pictures before. When you arrive there is a carpark at the bottom of mam tor and it’s a good 15 to 20 minutes walk to get to the viewing point. As I got up there the sun wasn’t going to set for another 45 minutes so I sat down and just took in the amazing views of mam tor. I always make time to take a minute and take in the views as you can easily get carried away. Where I was sat was the best view I could have found of mam tor. While I was waiting I took the time to take some portraits with the view behind me. I’d taken 2 cameras with this in mind as I knew the views would be breathtaking. After waiting around 30 minutes I got the perfect light I was waiting for so I started to get the photos. I’d already set up my competition as I had been there a while. It’s best to always get to your location early and find the composition you want for your landscape photos. Here is one of my favourites. 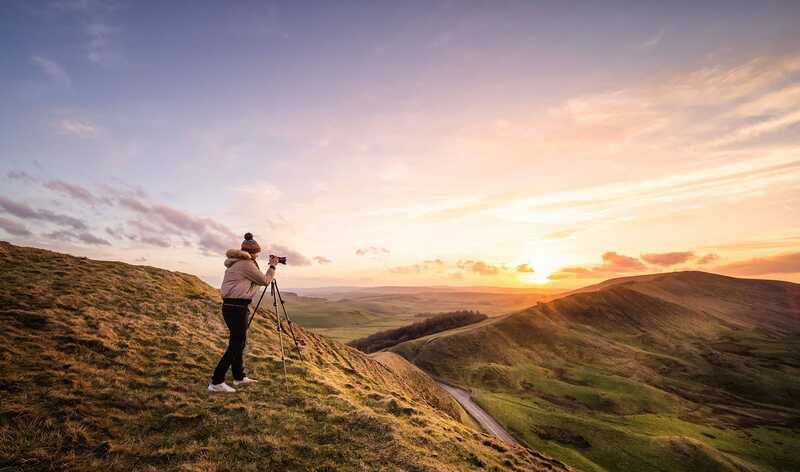 I also do landscape photography workshops in Castleton, this is within reach of mam tor where this photo was taken, if you would like to learn more on how to take photos like this then please get in touch. 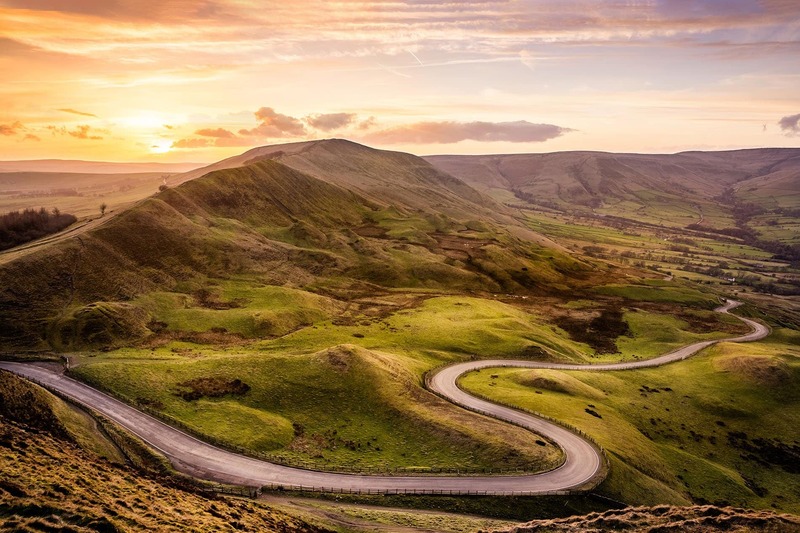 Have you ever been to Mam Tor? what did you think? I’d love to hear from you, post your comments below.